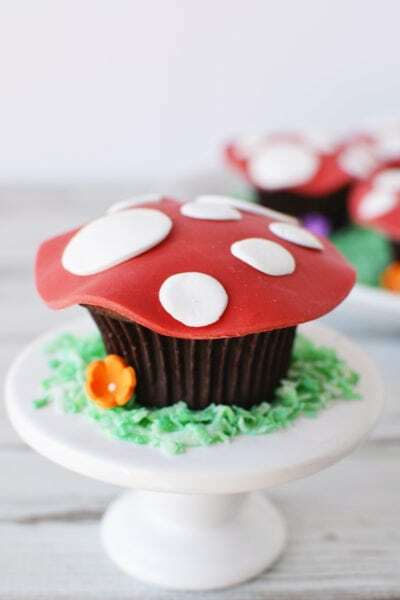 The Smurfs new movie is coming out April 7th, so to celebrate we made some Smurf-inspired recipes. 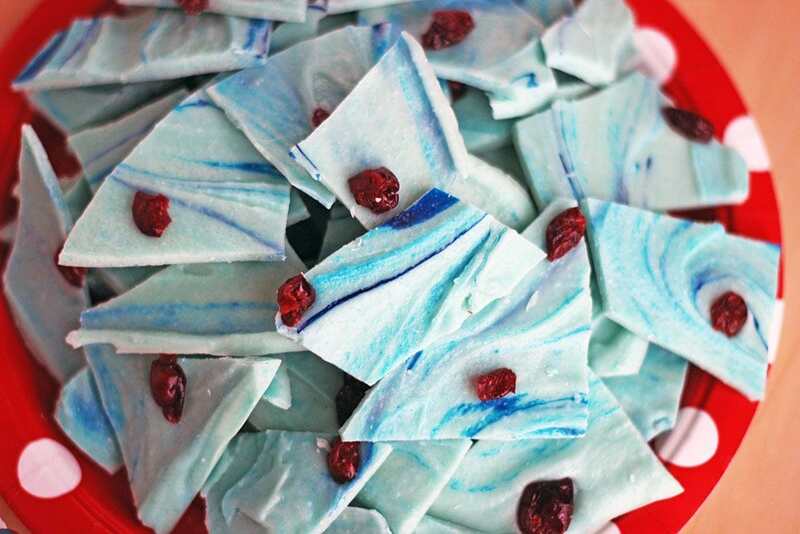 Smurfberry Bark is an easy blue candy bark recipe to make anytime. 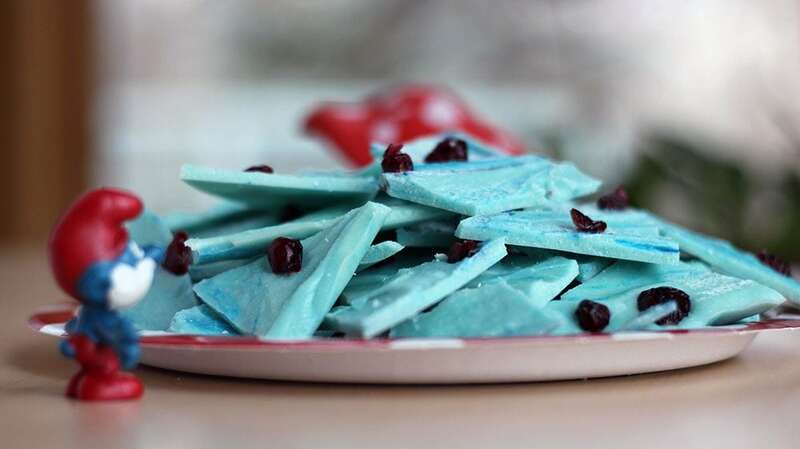 With only four ingredients, you can whip up this sweet treat that’s sure to bring a smile to the faces of Smurf fans of all ages. Voice cast includes Michelle Rodriguez (SmurfStorm), Ellie Kemper (SmurfBlossom), Ariel Winter (SmurfLily) and Julia Roberts (SmurfWillow), all residents of the title’s Lost Village. Special voice cameos to include Gordon Ramsay (Baker), Gabriel Iglesias (Jokey), Tituss Burgess (Vanity), Jeff Dunham (Farmer), Jake Johnson (Grouchy), and director Kelly Asbury (Nosey). The feature is directed by Kelly Asbury (SHREK 2), produced by Jordan Kerner (CHARLOTTE’S WEB) and Mary Ellen Bauder Andrews (HOTEL TRANSYLVANIA), and written by Stacey Harman and Pamela Ribon, based on the characters and works of Peyo. Digital animation by Sony Pictures Imageworks. I grew up with The Smurfs. They were my favorite in my Saturday morning cartoons lineup. I even have my OG (original grandchild) toys still at my Grandparent’s house. My Gram has all of my old toys in a playroom that is now enjoyed by her great-grandchildren. We gathered up all of the remaining Smurf Village that’s still hanging in there from decades of play. Waves of nostalgia rush over me whenever I dig out any of my things from childhood. My vintage Smurf toys bring back all kinds of happy memories. Shelley remembers a whole lot more than I do about Smurf details. 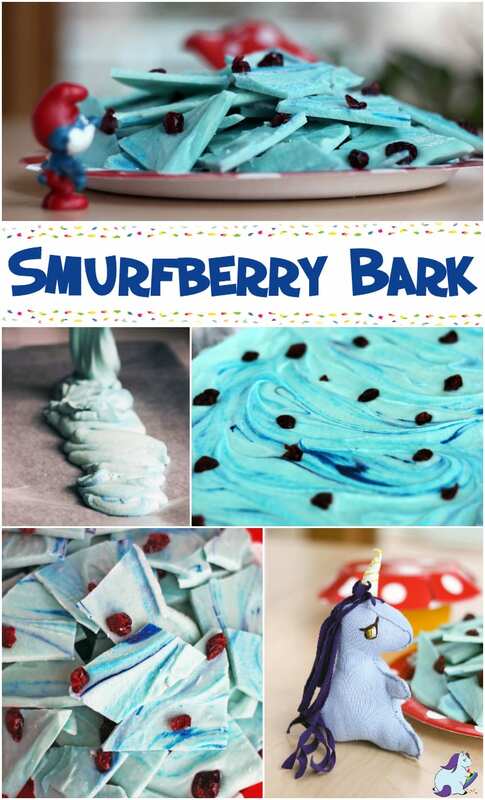 It was her idea to create Smurfberry Bark. Candy bark recipes are always fun and easy to make. 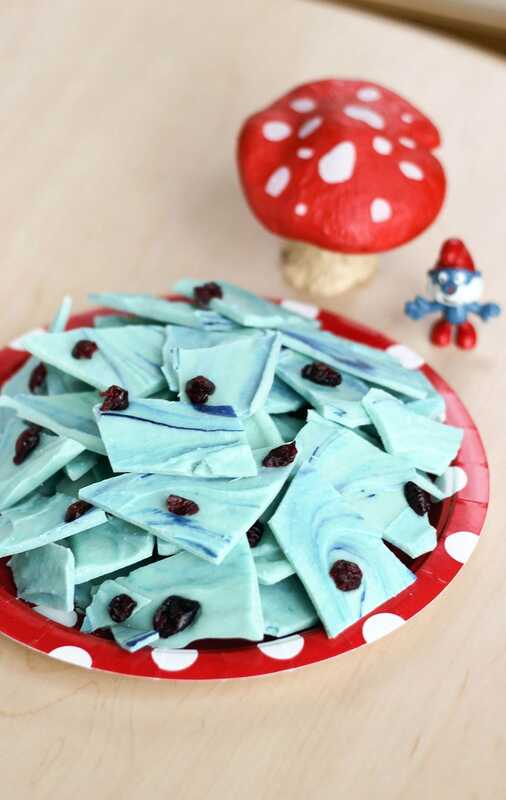 This sweet candy creation is smurftastic for any Smurf-themed birthday party, boy baby shower, 4th of July (just leave the base white), Smurf movie watching snacks, or just because! We originally used blue Jell-O, but realized it wasn’t necessary. It didn’t give the blue color we were looking for, nor did it add much flavor. 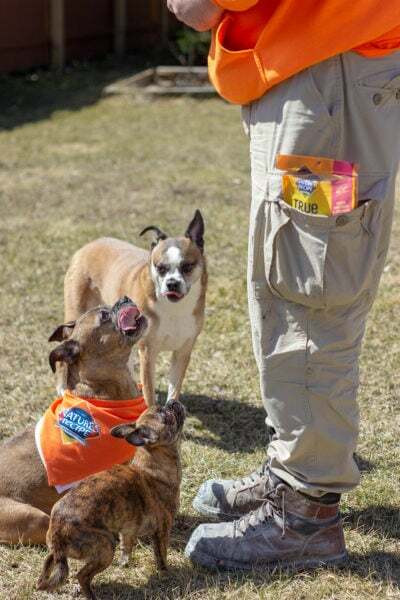 The blueberry flavor provides the burst of deliciousness we were after. Melt almond bark in a double boiler. 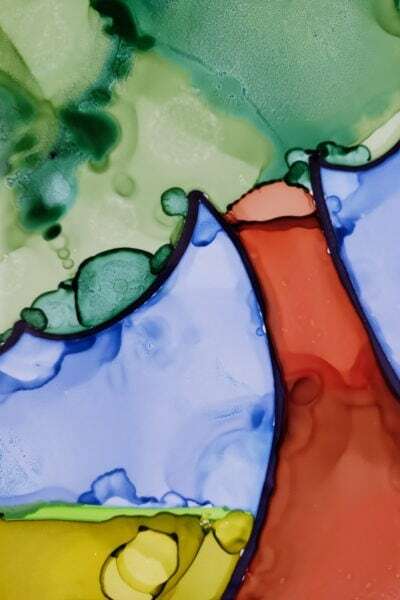 Once melted, stir in blueberry flavoring and a 5-6 drops blue food coloring (to get a light blue base color). 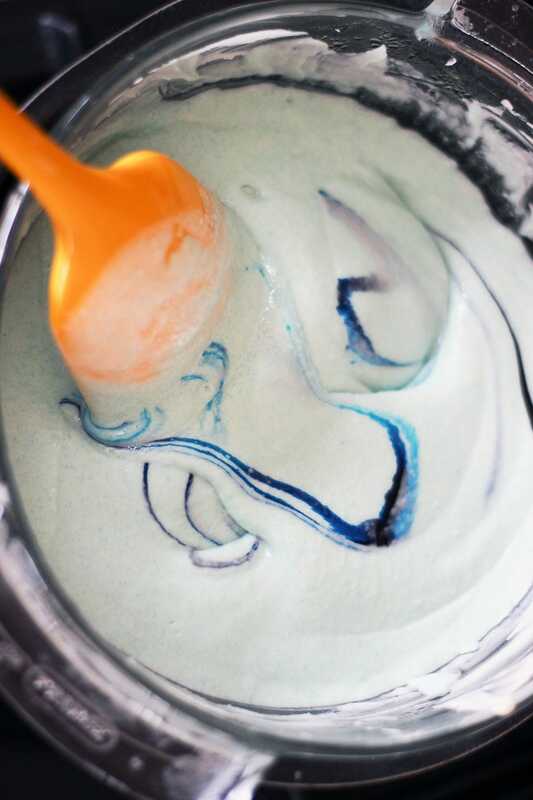 Then put 4-5 drops of blue food coloring in and only mix so there is a swirl of color. 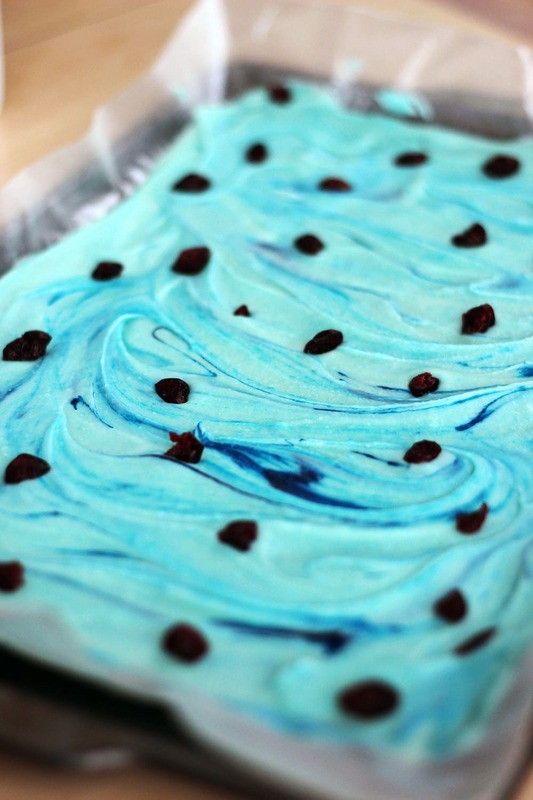 On a wax-paper lined cookie sheet, pour the melted almond bark and spread evenly, adding blue food coloring as desired to create darker blue swirls. Gently press cherry craisins into the bark, evenly distributing them throughout the cookie sheet. Freeze until fully hardened and then crack into desired size pieces. 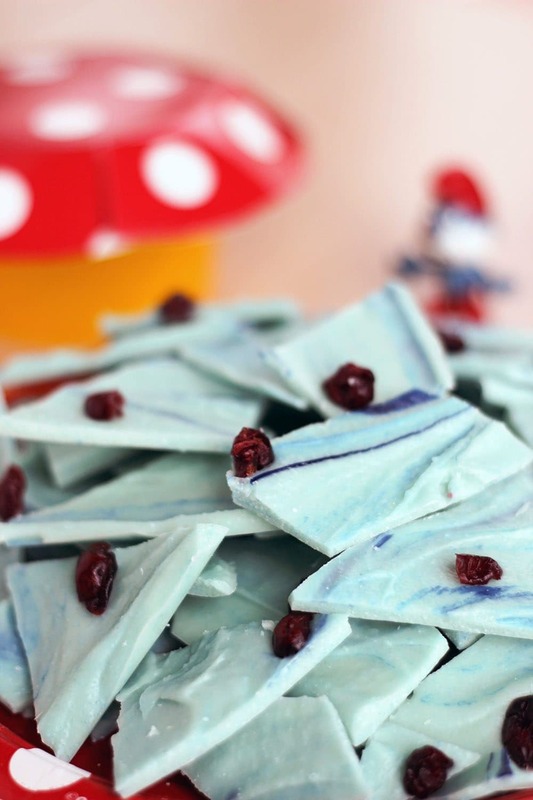 It’s a smurfy good time making this easy bark recipe! 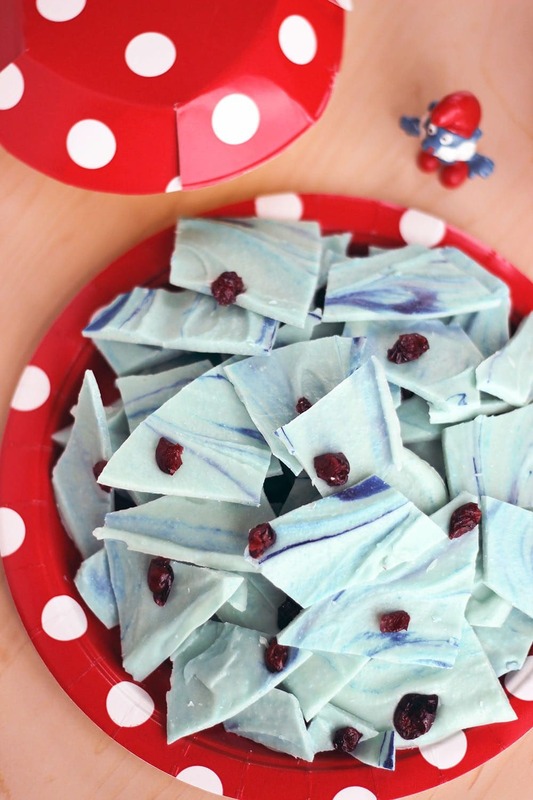 Be sure to make Smurfberry Bark to enjoy while you watch The Smurfs new movie. Mark your calendar for April 7th for a fun movie night. Grab your tickets on Fandango and enjoy the Smurfs new movie in the theater. I just knew Papa Smurf was vintage! (I was going to ask if he indeed was, but then my question was answered) ? This is such a cute idea, can’t wait to try it! Does that mean I am vintage, too? DOH! LOL He’s gotta be at least 35 years old since I am 38! These are so cute, and I actually have china polka-dot plates! 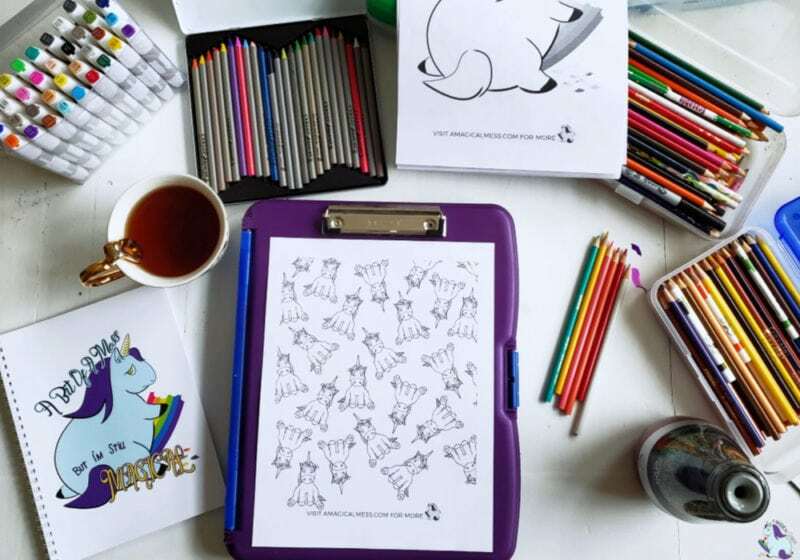 These are such a fun idea, and they look really good! My little grandson loves anything blueberry too! I have always liked the Smurfs. Such a cute cartoon and they actually had a good storyline. I like how you added ‘smurrfberries’ in this! Its amazing the Smurfs have stood the test of time. But they are cute, and have great backstories. This looks really good and easy, just need to find the Blueberry flavoring. 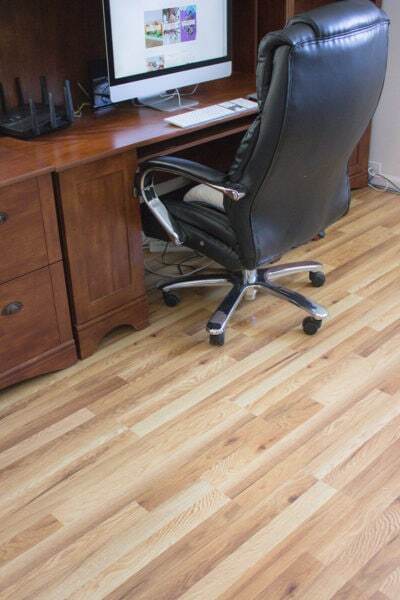 Fun idea for the kiddo. 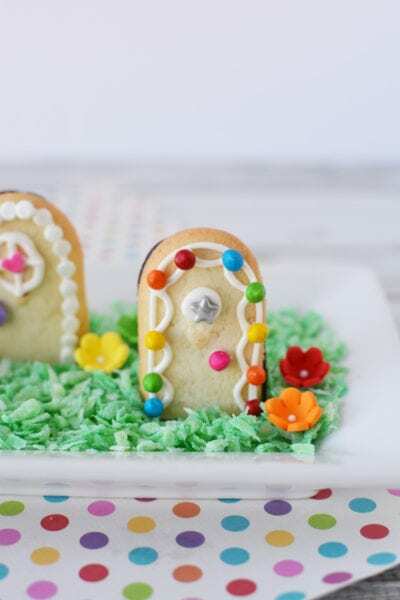 What a easy and fun recipe for me to make with my grandchildren. They will just love it. I still have yet to see the new Smurfs movie. This looks and sounds delicious.